One of the primary vehicles that RSMI uses to initially reach pastors in developing nations is through our Pastor’s Conferences. There is more than one way that this outreach is valuable to not only the pastors, but to the ministry of Risen Scepter. 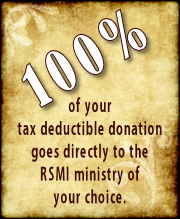 As Risen Scepter moves into a new area or country it becomes necessary to explain the vision and purpose of RSMI. Normally this is done through an initial ministry representative who begins speaking to existing pastors about our ministry. From this the next step is to hold a RSMI Pastor’s Orientation Seminar to interested pastors. This seminar explains vision and the mission of RSMI. We believe it is the biblical mandate that if we are to have unity, that unity can only be found in agreement. Because of this mandate we present the Pastor’s Orientation Seminars where pastors learn not only what RSMI does, but also what RSMI does not do. If they feel that the Lord is calling them to be part of what the Lord is doing though this ministry they are invited to sign the Pastor’s Covenant form and align their ministry with ours that we might build God’s kingdom together. Upon occasion Risen Scepter hosts intensive seminars for its pastors. These seminars are from one to four days and provide rigorous, concentrated, instruction on subjects such as theology and apologetics. Although these seminars are not intended to be exhaustive on their topics they are most valuable for the pastors that attend them, instilling a desire to grow and be equipped that they might be of greater use to the people that the Lord has given them and the kingdom of God. Occasionally Risen Scepter hosts a general pastor’s conference for those servants of God that are not under the RSMI umbrella. Although these conferences are not typical because we do not build upon another person’s foundation (1 Cor 3:10), it is our heart to add value to the ministries of those that the Lord has called to serve. As stated, these conferences are a primary vehicle that RSMI uses to initially reach pastors in developing nations. The seminars are also a source of ongoing ministry to the pastors that are a part of the RSMI family of ministries. Therefore they are exceedingly significant and we cannot present these conferences without your help. Equipment such as PowerPoint Projectors and screens, generators, or other supplies. 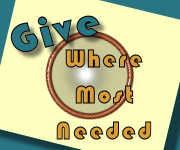 Your gift of any amount helps to do all this and more. Help us provide pastor's conferences today.